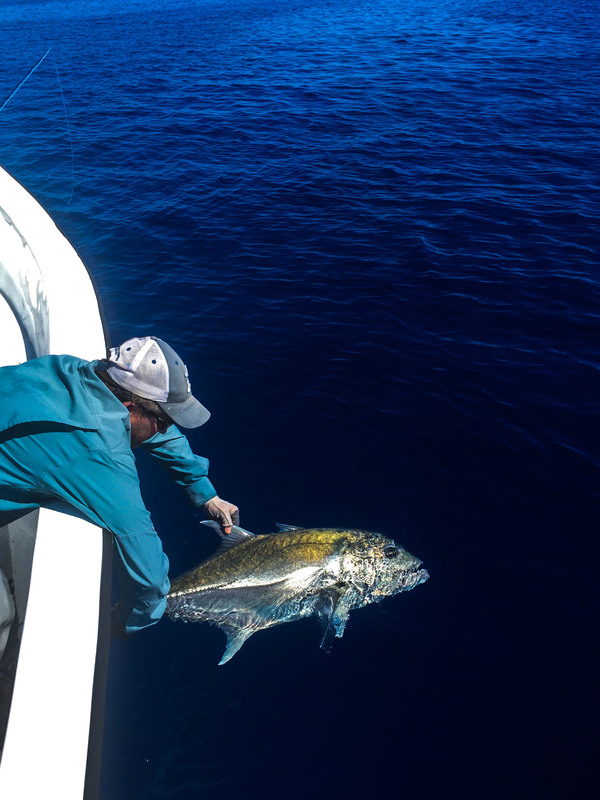 The last week of 2016 at Cosmoledo could not have gone any better with flat calm seas and cloudless sky to start the week. 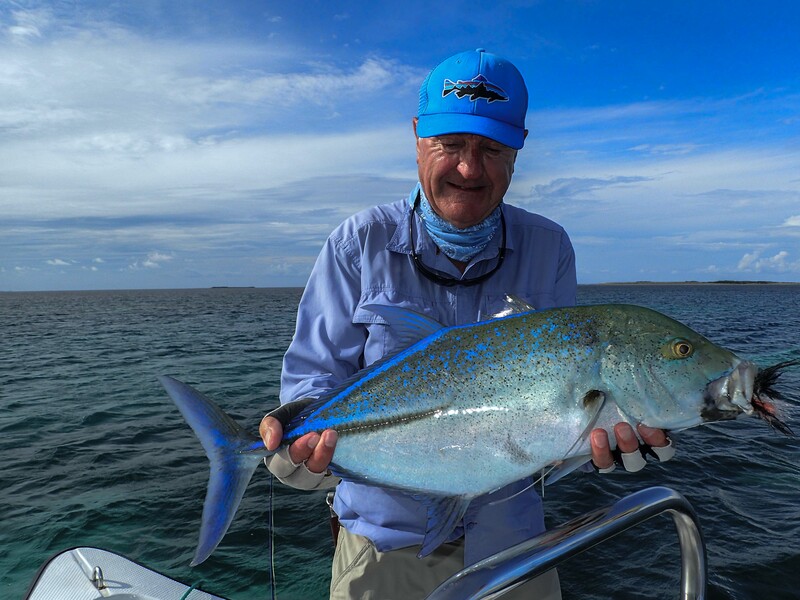 It was smooth sailing for the group consisting of father and son team Toby and Gannon R hosted by Arno M, David H, Bill R, Josh H of Aussie Fly Fisher and Jarred Z of Fly Lords. 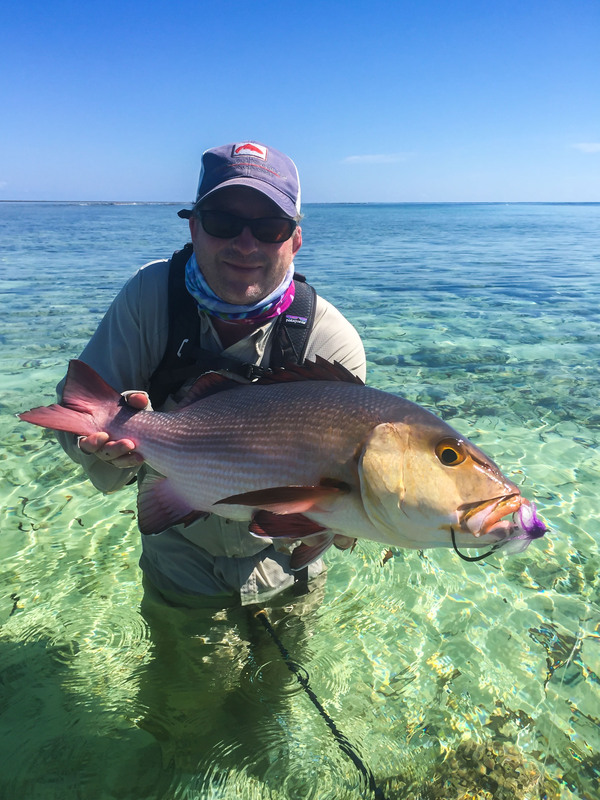 Day one started with a flurry of GT’s hooked, lost and caught, with stories of big fish sightings, duffed casts, miss opportunities and plenty of excitement to keep the motivation going for day two. 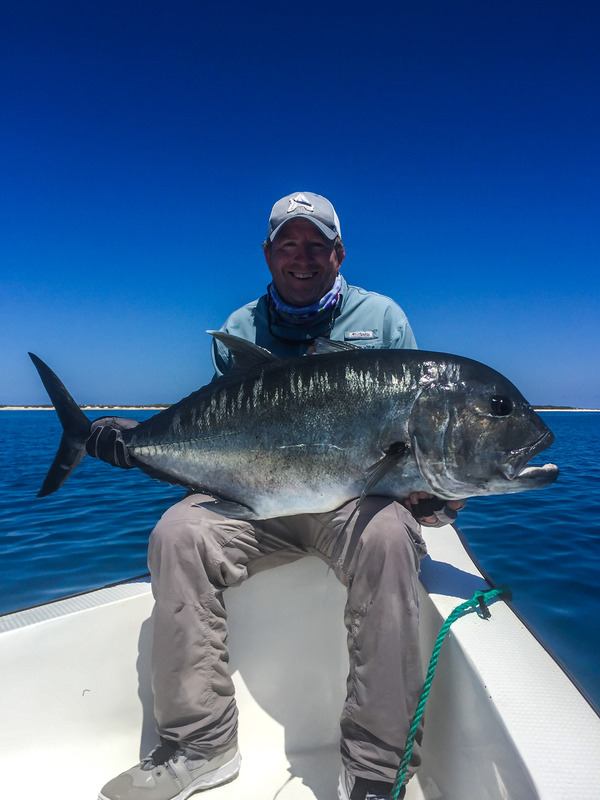 Toby and Gannon R were blown away by the sheer diversity on offer at Cosmoledo and took full advantage of it. 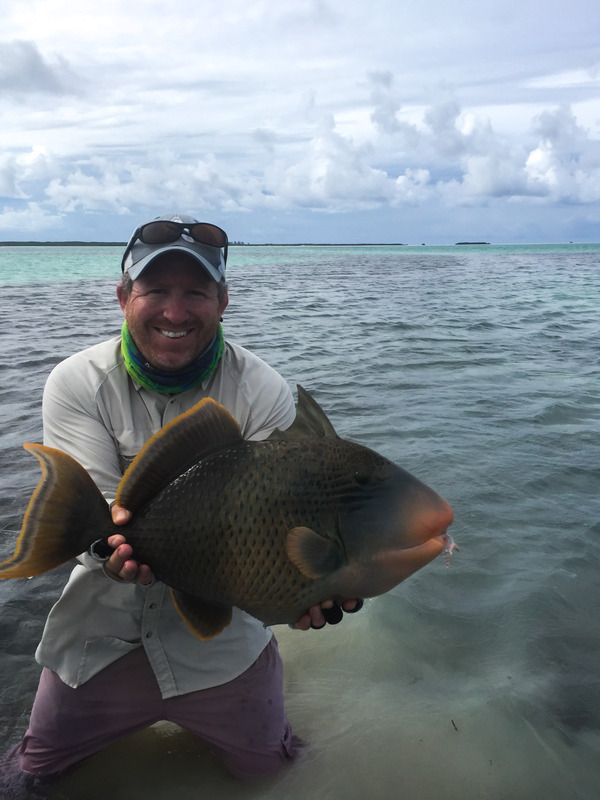 Gannon managed to land more species on the fly than any other guest this season with all of them being his first on the fly. 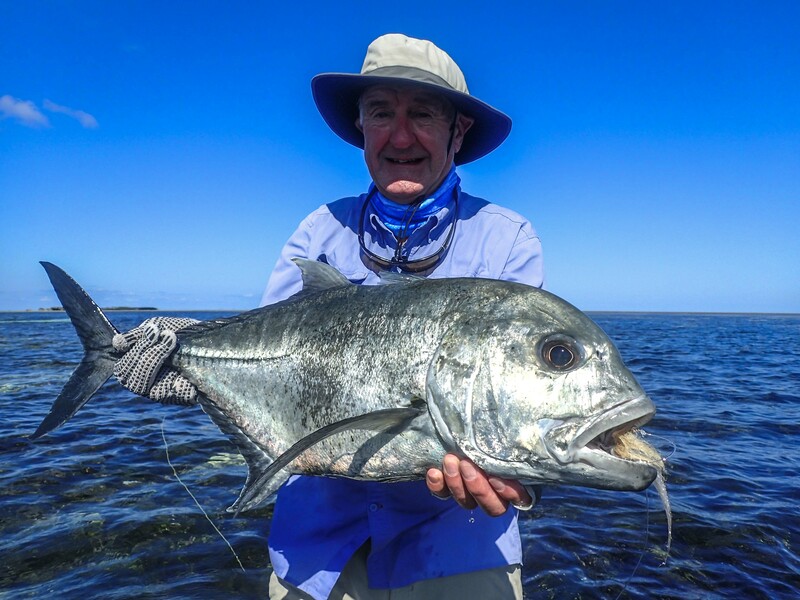 Toby wasn’t far behind racking up an impressive count including his personal best GT of 96cm. 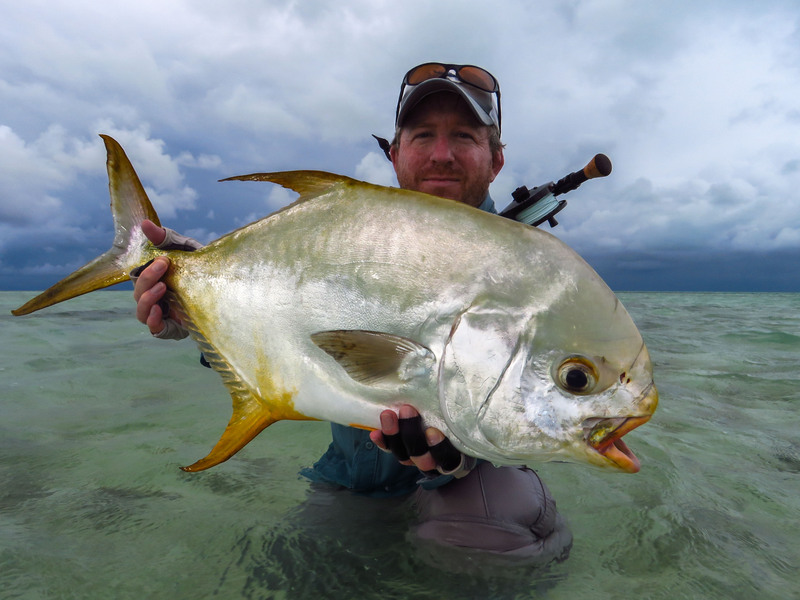 We constantly mention the diversity that is on offer, but until you have experienced it you will never really know. 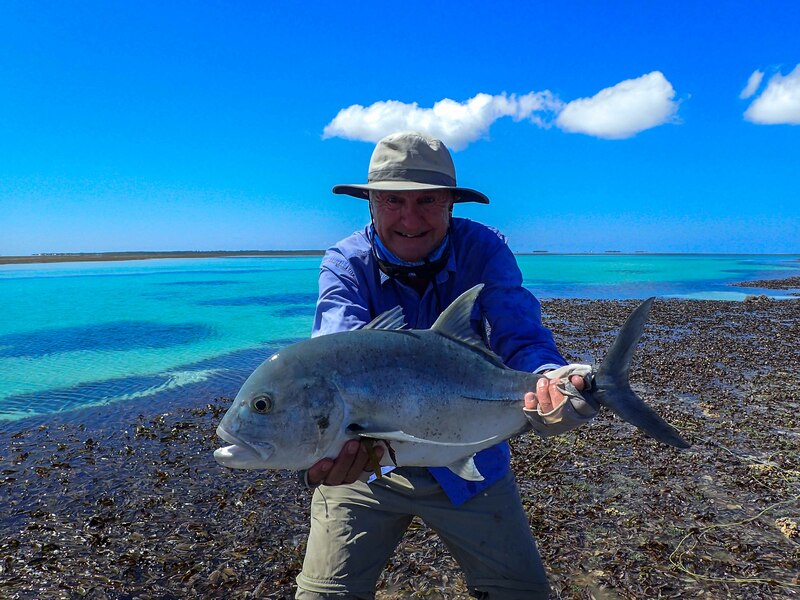 Bill R caught a pile of GT’s but I would say the highlight of his week was when he caught his first two triggerfish on the same day. 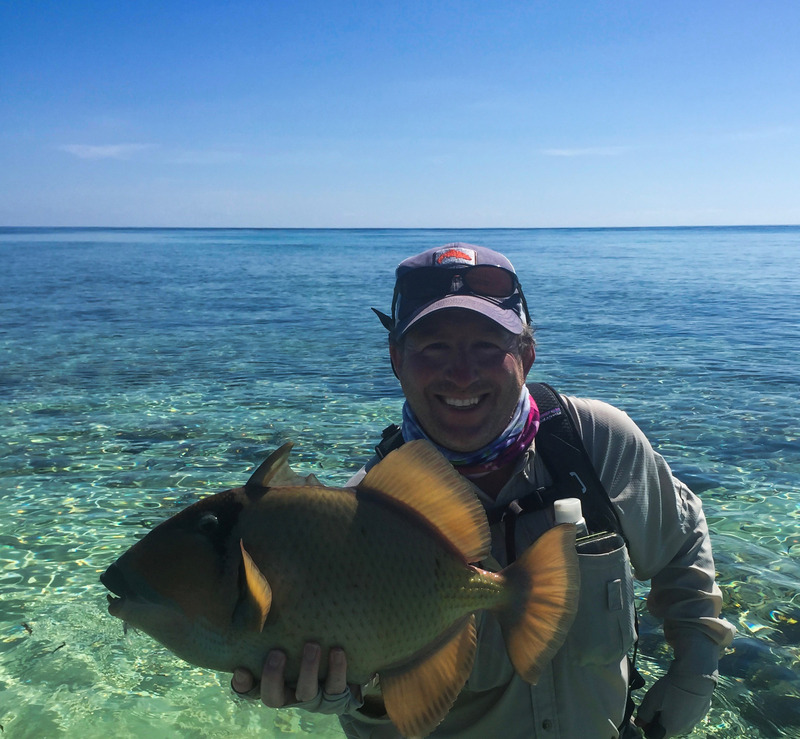 Josh and Jarred had an epic welcome to the Seychelles and Cosmoledo with a flurry of GT’s that continued on throughout the week. 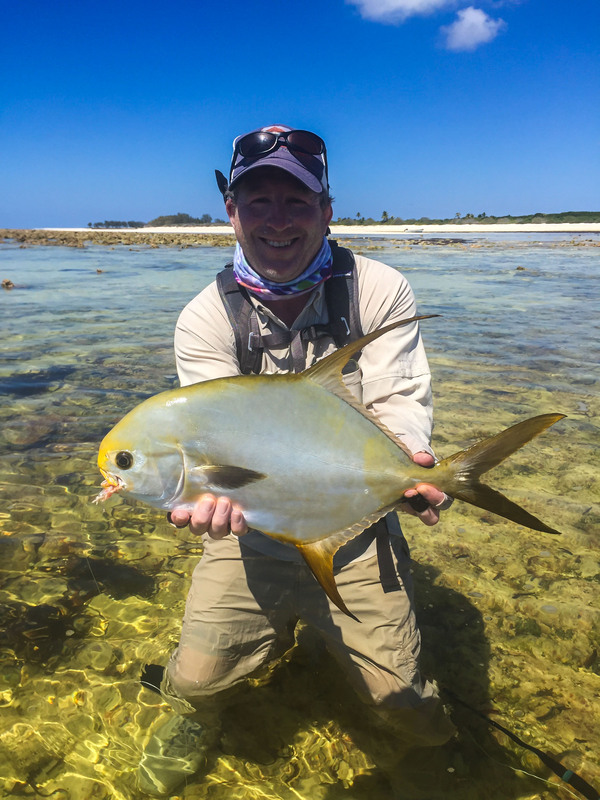 Josh had a particularly good week and on day 3 got his hands on some Cosmo gold, with a picture perfect Indo-Pacific permit. 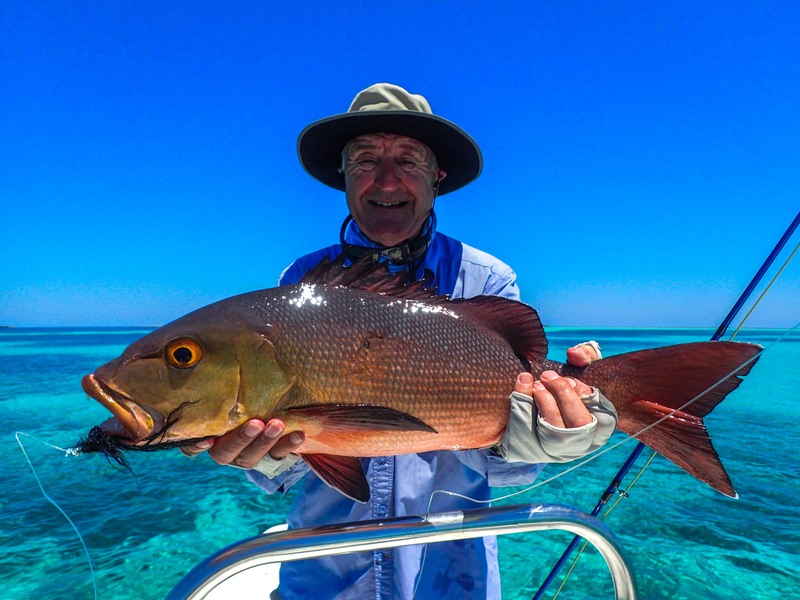 The week belonged to one man, David H. Dave is well known to the Alphonse family and has had a few cracking weeks on Alphonse but this was his first time out to Cosmo and what a trip it was. 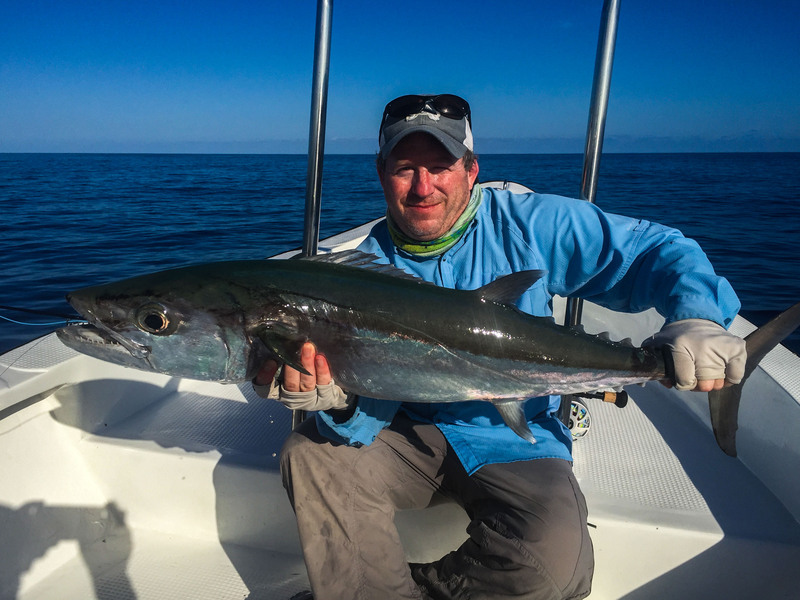 His week will probably go down as one of the most memorable weeks fishing Cosmoledo has seen. 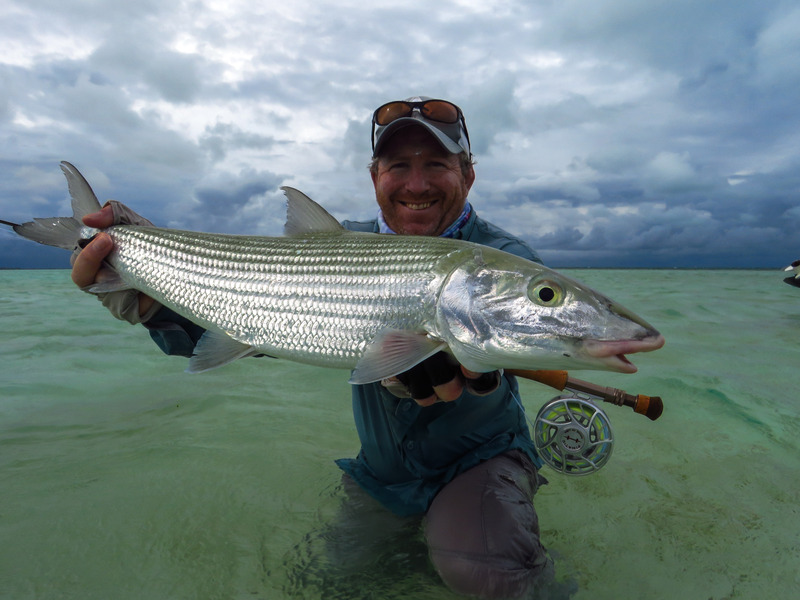 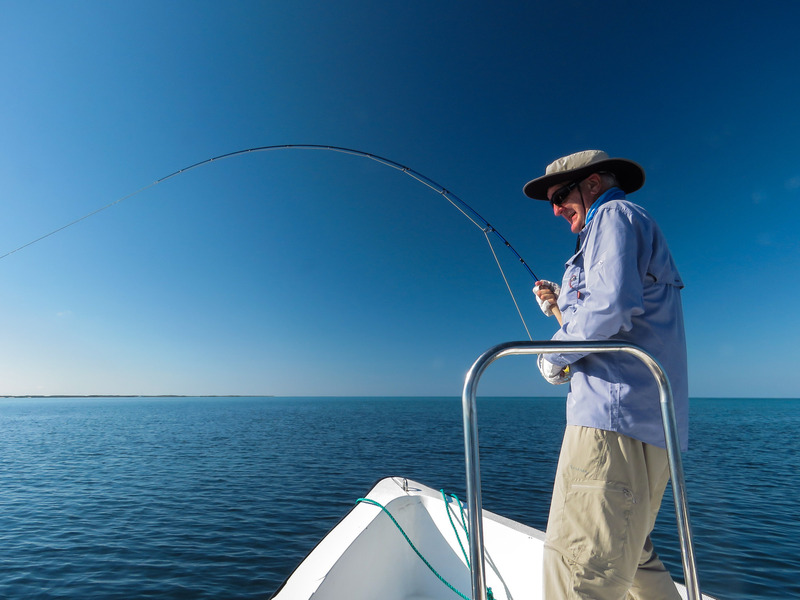 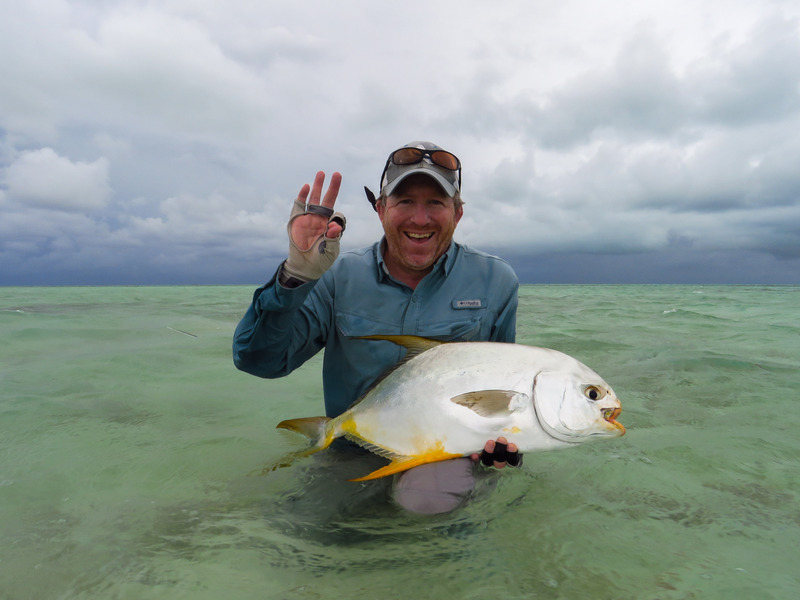 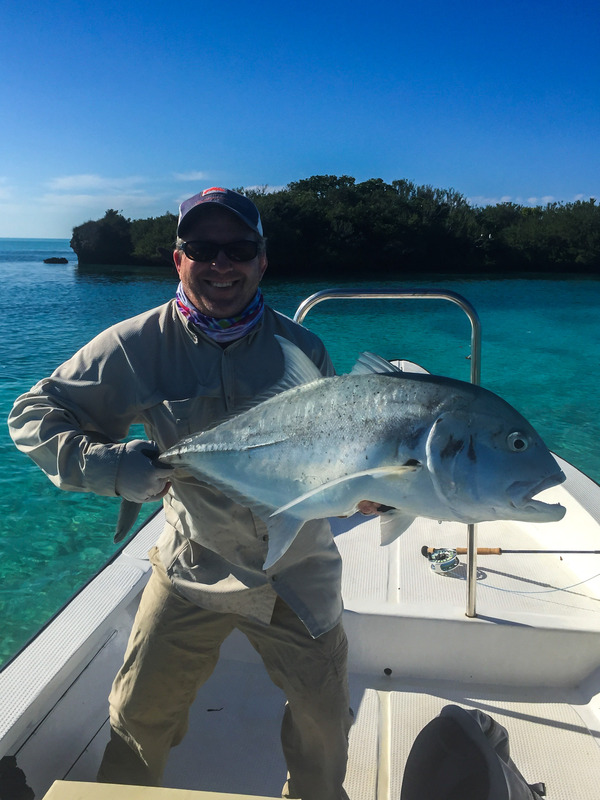 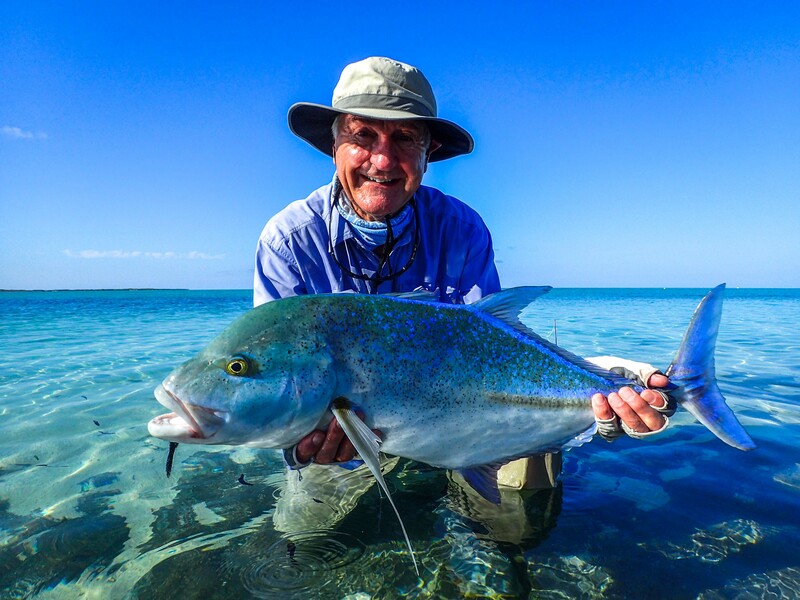 Dave ended his incredible week with 29 GT (Two of them over the magic 100cm mark), numerous bonefish with one of approximately 9lbs, one moustache triggerfish, one yellowmargin triggerfish, a dogtooth tuna and three Permit! 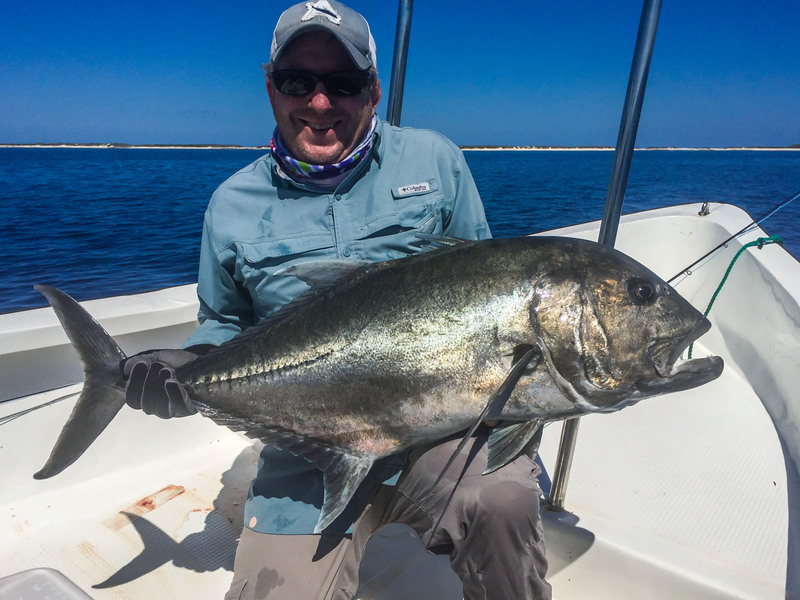 His week was made up of 2 “Grand Slams” and all the rest in between. 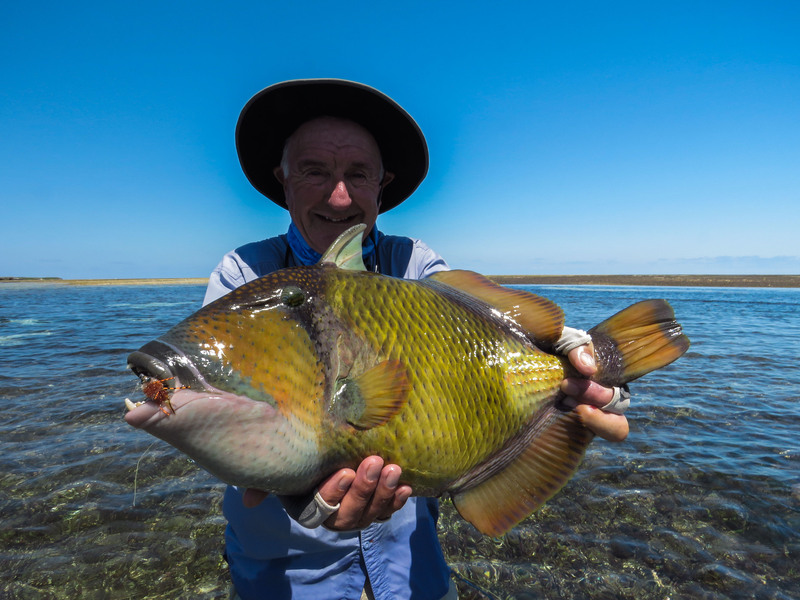 An awesome achievement that will be spoken about for some time to come. 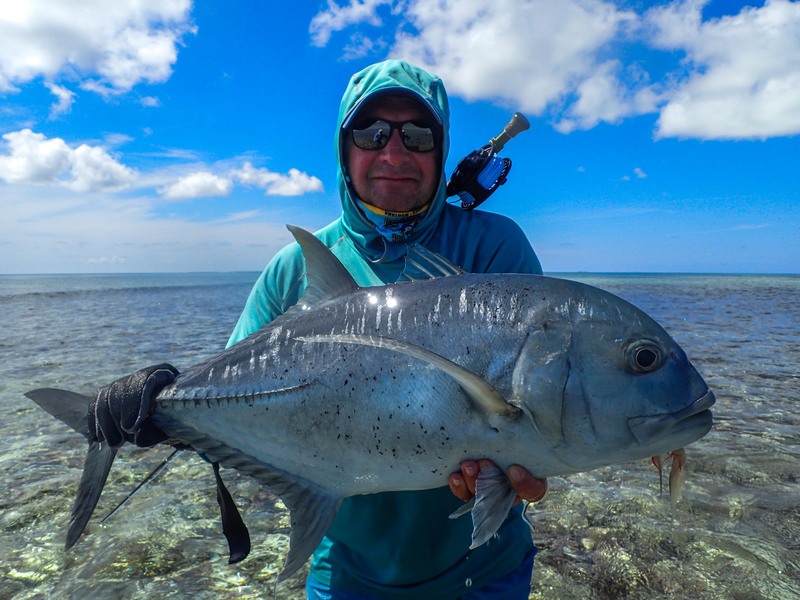 The week ended with 106 GT’s, four Info-Pacific Permit, five triggerfish and loads of bonefish and numerous other species. 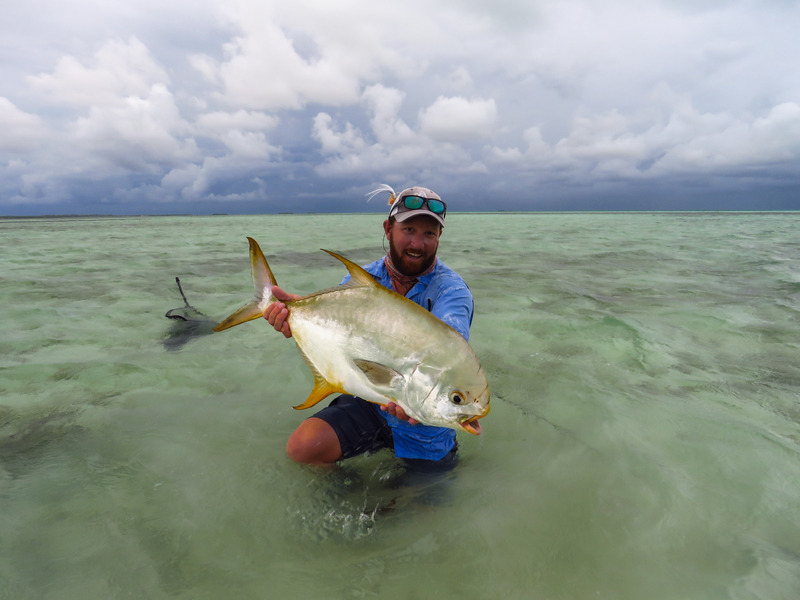 The guide team could not have asked for a better finish to the year and after a week like this, we can’t wait to get back out to the wildest saltwater destination on this planet. 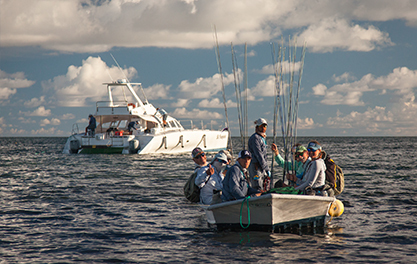 Cosmoledo 2017 can’t come soon enough! 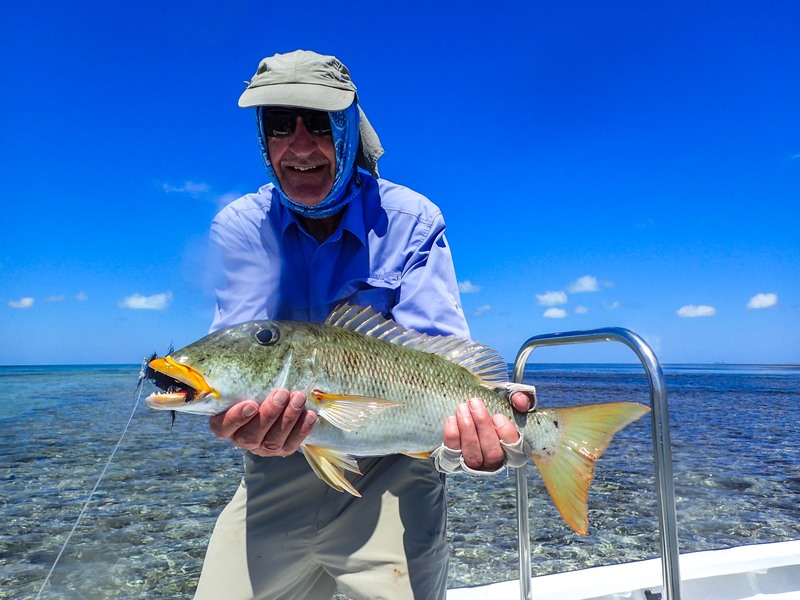 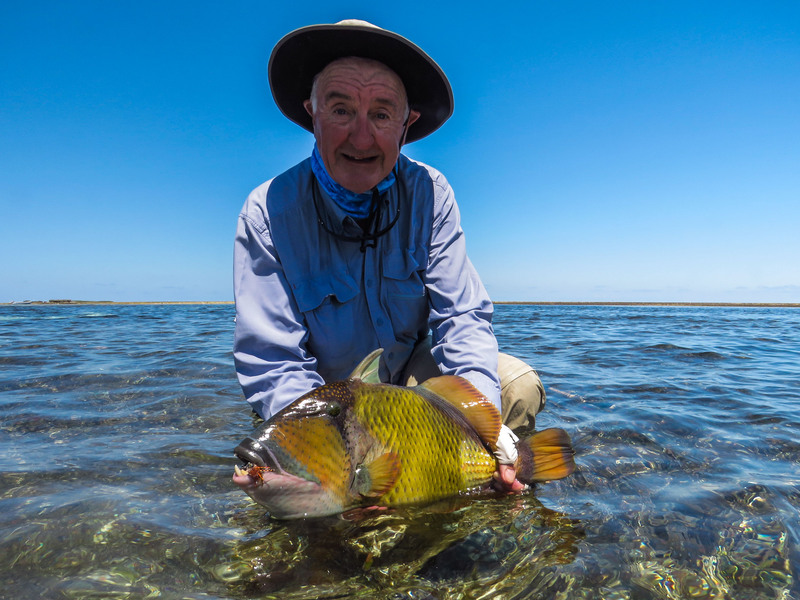 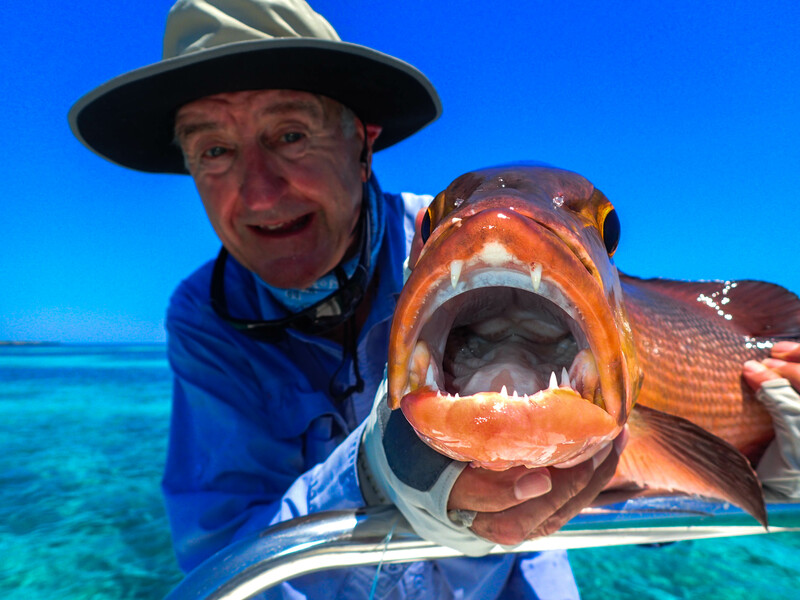 See more images and read the latest fishing reports of Astove and Alphonse Island.